In the 14th episode of the RPM Podcast, host Ostwelve speaks with two musical architects of the Mexican Indigenous revival - Yaotl of Aztlan Underground and Zero from El Vuh. On the flags of Canada and U.S.A. there’s nothing that speaks of pre-colonial times - nothing to symbolize the long history of Indigenous peoples on these lands. But look at the flag of Mexico and see smack in the middle a golden eagle with a serpent in its claws. That is an Aztec symbol. Scholars like to talk about the Aztec civilization as though it’s a thing of the past, but as the flag suggests Aztec culture is alive and kicking with a rhythmic revolution. Yaotl shares how being Indigenous has shaped his experiences, identity and music, and how he seeks to "see tomorrow". Zero describes the magic that happened when creating music joined his cultural knowledge and where to El Vuh has taken their work. Check out their music and conversations with Ostwelve and share this post! 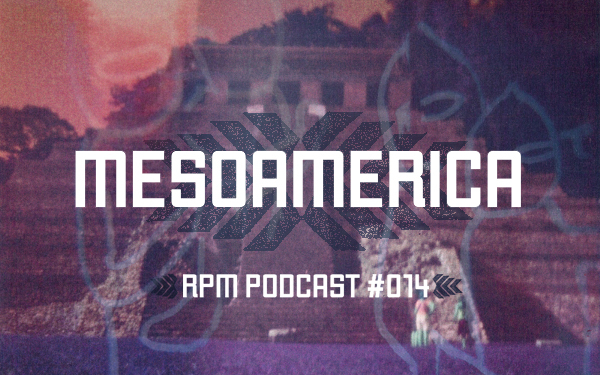 DOWNLOAD RPM Podcast #014: "Mesoamerica"
Photo illustration created by the talented Joi Arcand with an images from Oaxaca by Mike Jo.